EMU Australia's Gum Starry Night is a lightweight, comfortable, kid's espadrille. Perfect for those everyday adventures. The Gum Starry Night is a breathable espadrille. Featuring elasticated gussets and loop located at the back, for easy on and off. Made of a breathable canvas upper, printed with silver starry night print, that your little ones will love. 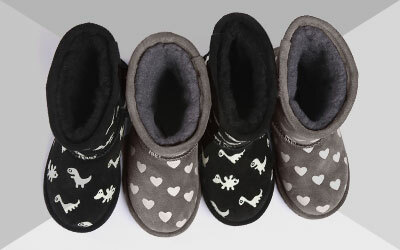 Made with a cotton textile lining and microsude footbed, these can be worn all day long. The gum rubber outsole features cork-flek to avoid trips and falls.